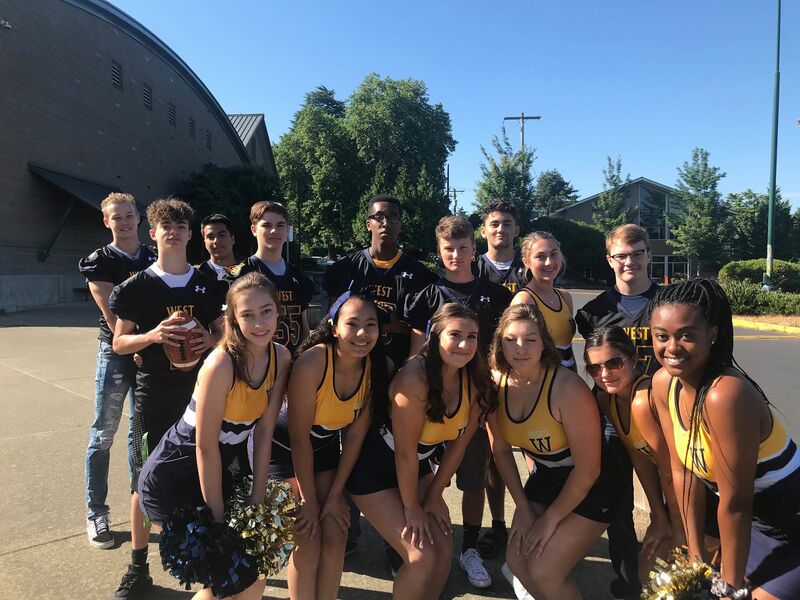 Some returning West Seattle Wildcat Football team members and cheer staff. The team needs more players and the new coach Jeffery Scott is actively recruiting. But he's facing a problem for the team. He needs more to field the team to play positions on both offense and defense. The coach said "I'm just looking for players to come out and give us a chance because our numbers are low it’s a safety thing. "We currently have 28 players. We are projecting like 8 more freshmen. I believe we should have around 40 players going into the season." Across the nation the number of players turning out for football is in decline. According to data from a survey conducted by the National Federation of State High School Associations.Nationwide, participation in 11-man high school football decreased by more than 53,000 players from 2008 to 2016, marking a 4.8 percent drop, while other High School sports participation has increased for the 28th straight year, led by girls participation. Media reports regarding have made people nervous about participation in the sport which is fast moving and aggressive by design. The Colorado School of Public Health conducts studies as part of it's Program for Injury Prevention, Education and Research. The studies on high school sport injuries can be found here. For football they do suggest that a player who participates for four years is three times more likely to get hurt than competitors in other major sports. Which goes directly to the need for more players since fatigue plays such a major role in preventing injury. More players spread out the risk. Fewer players means some must play both offense and defense. Coach Scott takes injuries very seriously and works with the trainers and team doctor to not only prevent them as much as possible but treat them immediately should they occur. Every sport deals with injuries since they are strenuous physical activities. If you have a player who would like to turn out, you are urged to email WestSeattleFootball@gmail.com.